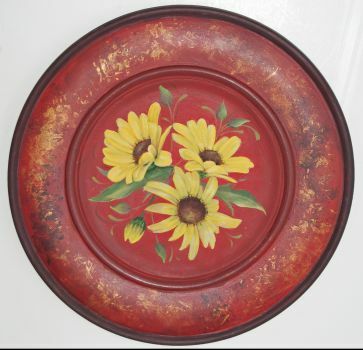 Earthtones in Red Susans Plate Discounts Apply ! Beautiful daisies painted on a 12" wooden plate using DecoArt Americana paint. Pattern packet includes a laminated photo.